We created a press announcement and PR stunt to generate interest and celebrate golf becoming an Olympic sport in the 2016 Olympics. The PR stunt needed to be at a location that was globally recognisable to generate global media interest. The date had to be Monday 23 July – 4 days before the start of the 2012 Olympics. 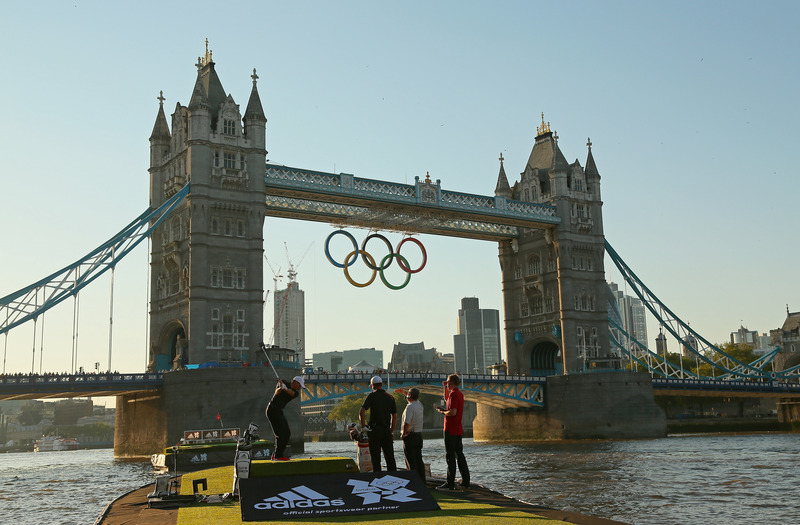 Fully executed by our in-house experiential team, we placed Sergio Garcia and Dustin Johnson on the River Thames challenging them to hit golf balls through the Olympic rings hanging off Tower Bridge, whilst standing on a floating platform. The stunt followed an official press announcement in a nearby location. This was the first time the Thames River had been partly closed down for commercial purposes.